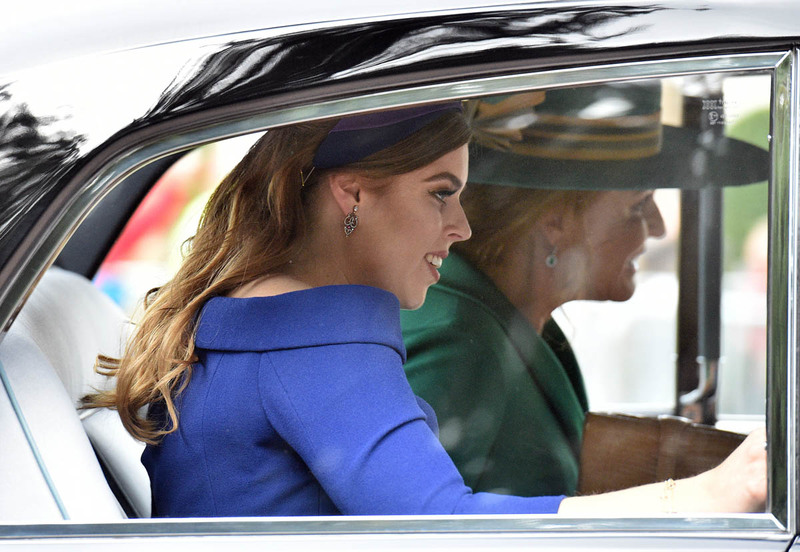 Princess Eugenie married Jack Brooksbank at Windsor Castle today. 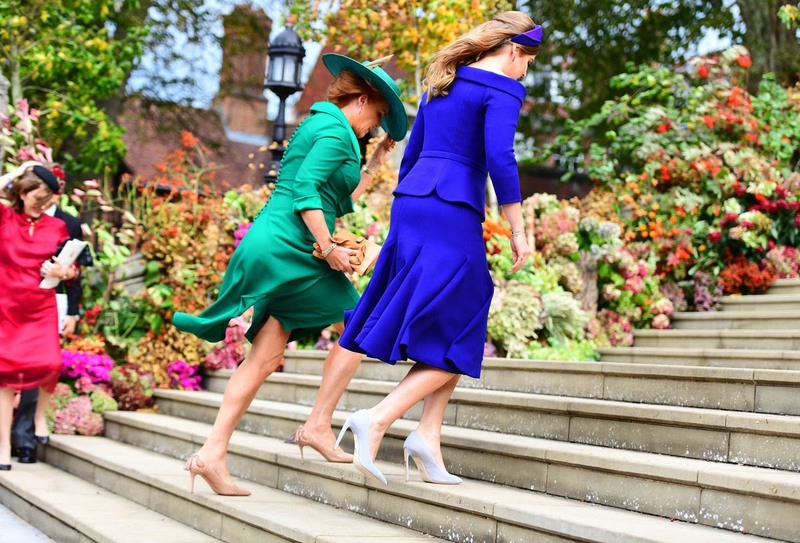 It’s their day but, you know, when we’re talking about royal egos and pettiness, it’s also Prince Andrew and Sarah Ferguson’s day. 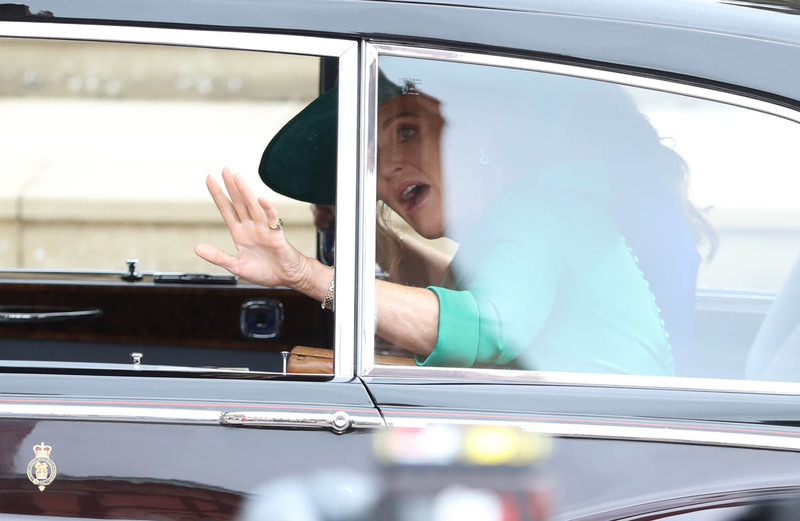 And the mother of the bride took full advantage of the moment. THIS HAT. 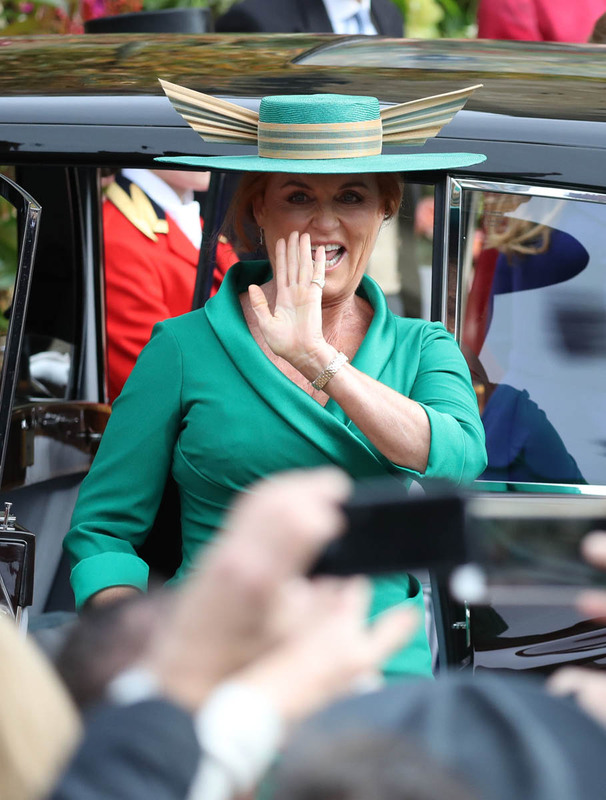 It’s a green hat. 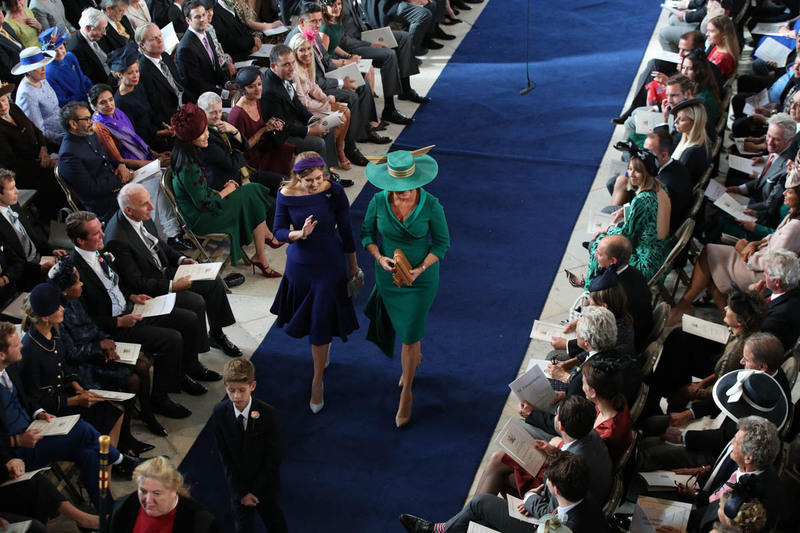 Chinese people typically avoid green hats because it’s a sign of the cuckold. But, I dunno, I’m not sure Fergie has to worry about that now. The priority is to show the f-ck out. 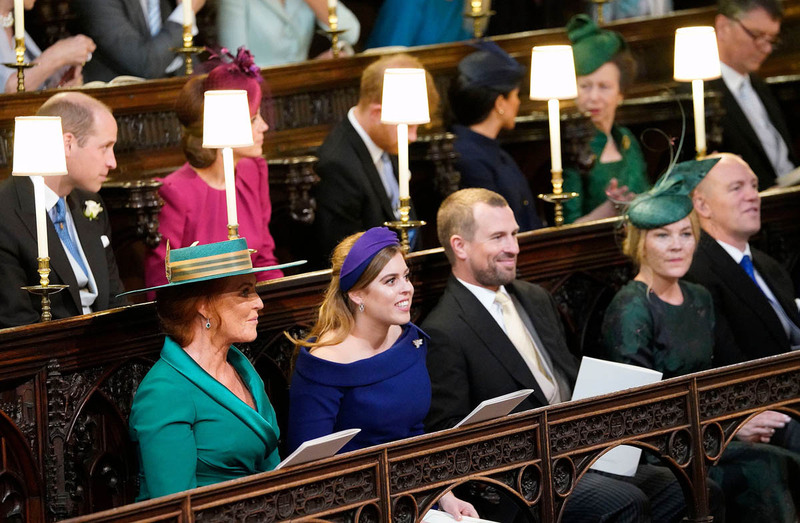 So while it was her daughter, Beatrice, who once showed up at a royal wedding (that Fergie wasn’t invited to) making a statement on her head, this time Fergie’s the one taking that shine. And I’m here for it. Because it was hard enough to get jacked up for this wedding, isn’t this what we want? Are we not entertained? As you’ve probably seen, the quidditch jokes have been happening all morning. 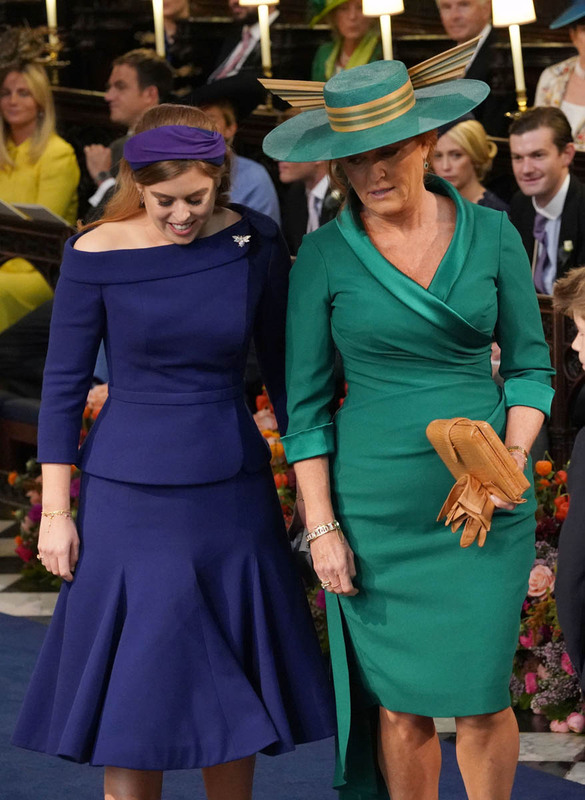 A golden snitch-inspired hat for a royal wedding? It’s perfect. And she knows. Fergie knows. 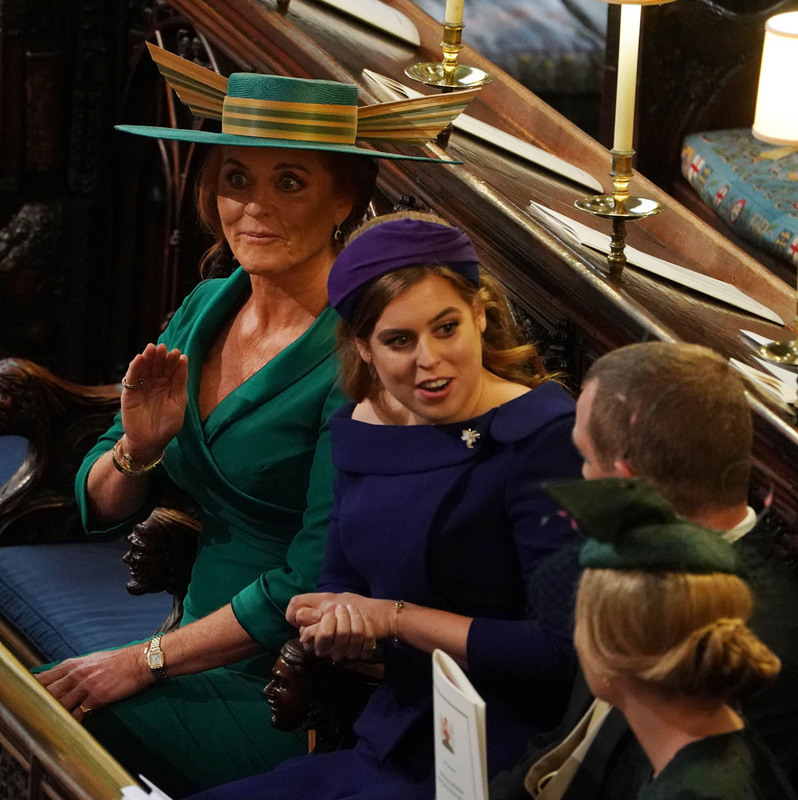 She is feeling the f-ck out of herself, out of this day, sitting in the front row on the royal side in the quire at St George’s Chapel, with Her Majesty and Prince Philip in attendance. Everybody knows by now how he feels about her and all the drama that went down there. Today, though, as they do, all that sh-t is put aside. This family understands a spectacle. 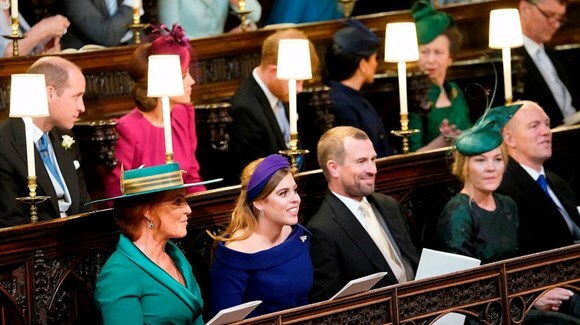 No one loves that spectacle more than Andrew and Fergie. PS. Is it just me or is Peter Phillips getting hotter with age? He looks like sort of blurry Chris Evans in this photo. More wedding coverage coming up. Have a great weekend!